The following has been republished with permission from taylorhalverson.com. On the symbolic Mount of Olives, overlooking the holy city of Jerusalem where Jesus spent so many days teaching and healing, sits a beautiful church called Pater Noster. 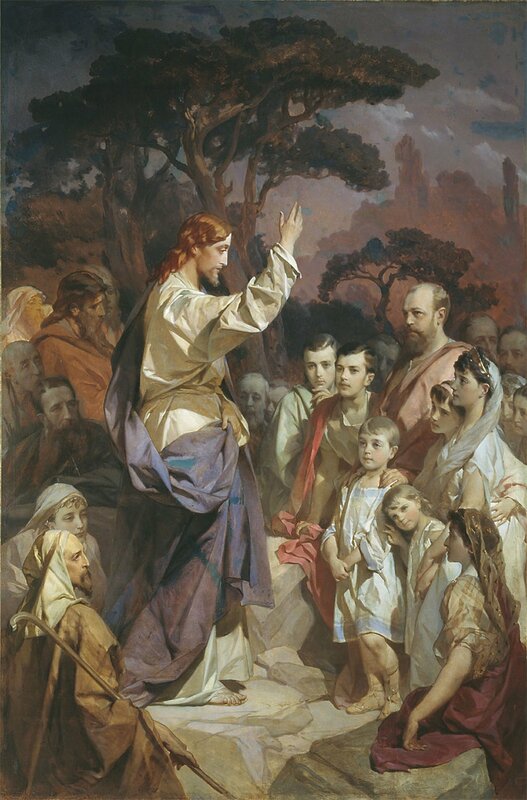 The church is dedicated to the memory of Jesus’s famous Sermon on the Mount prayer that begins with the phrase “Our Father”, or in Latin, Pater Noster. Beautiful tile inscriptions line the walls of the Pater Noster church, each containing a different language translation of the Lord’s prayer. This thoughtful artistry of the babel of tongues of God’s children calls our attention to the universality of God as our Father. Undoubtedly during His lifetime, Jesus invoked thousands of prayers to His Father. Though very few of His prayers have been recorded for our benefit, the simple prayer in the Sermon on the Mount is revelatory and compelling. And lead us not into temptation, but deliver us from evil: For thine is the kingdom, and the power, and the glory, for ever. Amen. (Matthew 6:9-13). In the Lord’s simple prayer, He models for us how to pray and what to pray about. The prayer is structured simply around Ours and Yours. Our prayers should remind us that we are fully dependent upon God. The call to receive our daily bread serves as a visceral reminder that our daily sustenance is a blessings from God. Though we may live in times of superabundance where we may never wonder if we are going to eat (the first-world problem we regularly face is what to eat, among so many choices), in the times of Jesus whether you had food to eat was a daily, persistent concern. Perhaps anciently, such lurking hunger consistently reminded people of their full and entire dependence upon God. Our prayers should remind us that we are all debtors. The surest way to feel the peace of the atonement is to forgive others and to forgive ourselves. Our prayers should acknowledge His holiness, His name representing His totality. Our prayers should seek for God’s kingdom. His kingdom if more likely to come as we forgive others and ourselves. Our prayers should put us in alignment with God’s will. And we should ever remember that His kingdom is full of power and glory. Jesus is the embodiment of God’s kingdom. When we covenant to make Jesus part of our lives, as we do at baptism and weekly at the sacrament table, we have entered into the kingdom of God. May our prayers guide us to that place.